There's nothing like an island break in the middle of your travels to really make you feel like you're on vacation. Some of my most vivid travel memories are recharging on an island, where time seems to slow down, and the only thing on the agenda is finding the perfect perch for watching the sunset. Denmark's Ærø Island is one of my favorite island getaways. This sleepy, 6-by-22-mile isle near the German border is a peaceful and homey place, where baskets of strawberries sit for sale on the honor system in front of farmhouses. I enjoy biking into the idyllic countryside, past farms and windmills, struggling uphill to the island's 2,700-inch-high summit, then winding down past a fine 12th-century church, a 6,000-year-old burial place, and a little brewery. If I time it right, I arrive at the beach — just past the main town of Ærøskøbing — before the sun sets. 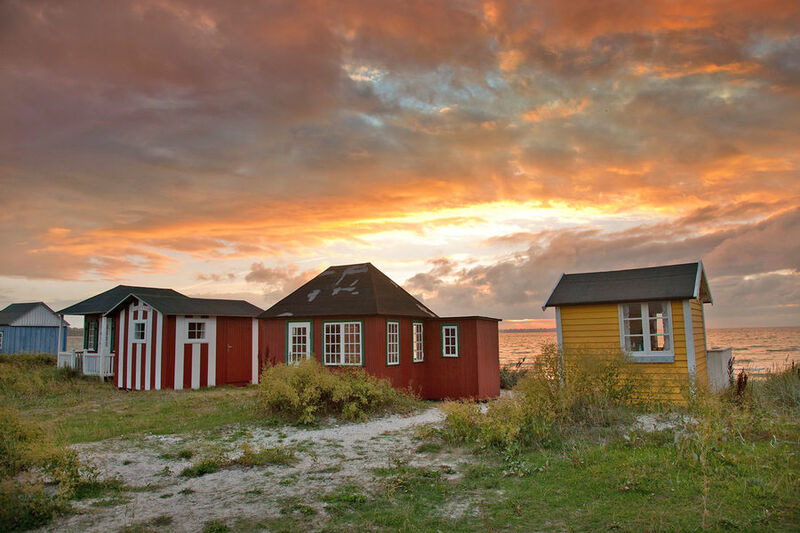 Along the beach is a row of Monopoly-sized huts, each lovingly painted and carved, stained with generations of family fun, sunsets, and memories of pickled herring on rye bread. I'll never forget picnicking with the mayor of Ærøskøbing here, watching happy children splash in the water as the late summer sun sank heavy and red into…whatever Danish sea was out there. As the shrimp and wieners sizzled on the hibachi, the mayor strummed his guitar and taught us Danish sea chanties. To Denmark's north, Stockholm offers more spectacular island escapes. Part of an archipelago, Stockholm is surrounded by both the sea and a large lake, with an amazing playground of islands stretching 80 miles from its center. Of the thousands of islands, more than a hundred are served by ferries. One of the joys of a trip to Stockholm's Archipelago is to grab a perch on the breezy sundeck with Swedes as they enjoy their island wonderland. A popular destination is Vaxholm, an hour away, with a well-preserved fortress just off its busy harborfront and a charming old town. For an even more remote destination, ride a couple of hours past Vaxholm, to the island of Svartsö, with 80 year-round residents. Renting a bike is a fine way to see the island. Within moments you're out in the countryside, immersed in pastoral farm land and pristine nature. At the end, stop at the excellent restaurant. I requested the house specialty and was overwhelmed with the bounty of the Baltic. 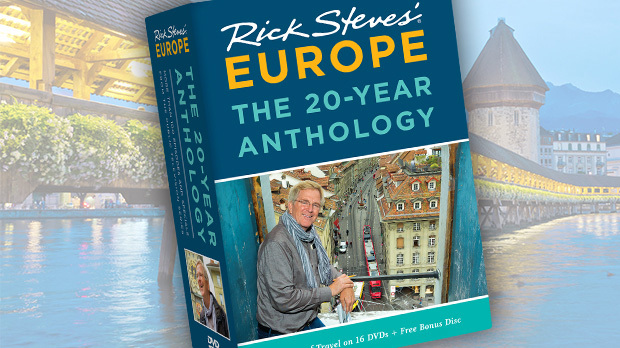 While northern Europe has plenty to offer, the Mediterranean is what most people envision for "island getaway." But be warned: Mediterranean islands can be unpleasantly crowded and expensive in summer. Countless islands sit off Croatia's Dalmatian Coast, stretching north from Dubrovnik. Two good destinations are Hvar and Korčula, both with rugged limestone scenery, historic port towns, pebbly beaches, and crystal-clear water. Hvar is glitzier, while Korčula is sleepier — more salt of the earth. In either place, enjoy strolling the back streets, try to listen to some klapa — Dalmatian folk music sung a cappella — and savor island life over a cup of bijela kava (white coffee). 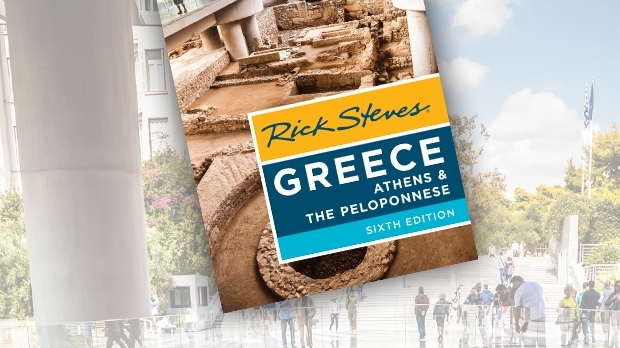 Touristy Mykonos and Santorini are classic Greek island stops. But my favorite is Hydra, less than two hours by ferry from Athens yet a world apart. One of the island's greatest attractions is the absence of cars and motorbikes. Instead, donkeys do the heavy hauling today just as they have through the centuries. 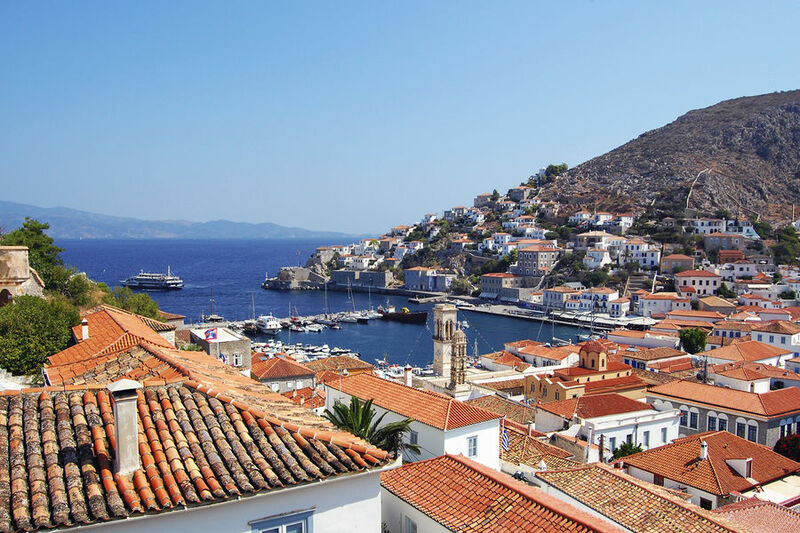 Hydra is one of the prettiest towns in Greece. Its superb harbor is surrounded by an amphitheater of rocky hills, covered in a maze of narrow, cobbled streets, flanked by whitewashed homes. The clutter of red-tiled roofs looks like a sloppy pile of Triscuits tumbling up the hill away from the harbor. The beauty of a Hydra day is that there is no need for an agenda. Your wakeup call is a chorus of tinny church bells, which sound like dinner triangles on a cowboy ranch. The bells also seem to call the barnyard awake: dogs, roosters, a million baby birds cry for breakfast, and old burros snort, clearing their sinuses. You can spend the day exploring the town and museums, hiking to nearby villages and beaches, or circling the island by boat. But I do have one ritual: At day's end I walk 15 minutes along the coastal path to the rustic village of Kaminia, with its pocket-sized harbor that shelters the community's fishing boats. On the bluff just above is Kodylenia's Taverna, where owner Dimitris takes his boat out early in the morning to buy the day's best catch directly from the fishermen, before they come back to port. Here, with a glass of ouzo and some munchies, as the sun slowly sinks into the sea and boats become silhouettes, you can drink to the beauties of an island escape.